For the past day or so, the film world has been freaking out over the Motion Picture Academy’s apparent inability to find someone—anyone—willing to host the 2019 Academy Awards. It was the sort of huge nightmare scenario that regularly devastates the film industry but is mostly meaningless to everyone else, especially since the impossible hunt for a suitable host has already come to an end. 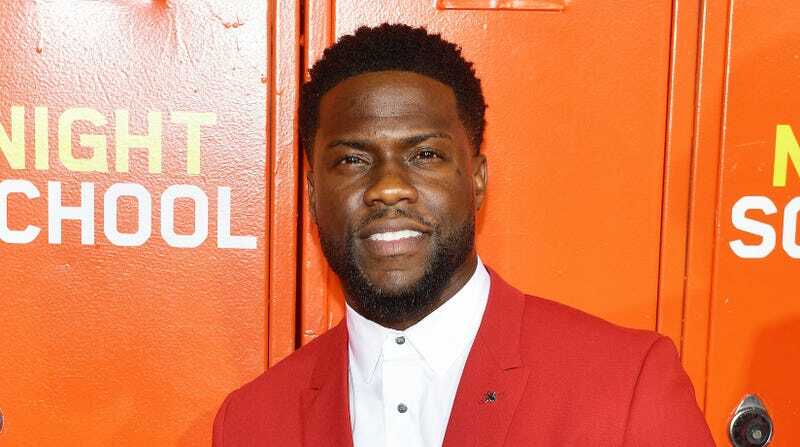 As it turns out, Kevin Hart is more than happy to host the Academy Awards, and he announced on Instagram (via Variety) that he’s actually taking the gig. He says hosting the Oscars is something he’s wanted to do for a long time, and he’s “blown away” to have gotten the call. He also promised to make this year’s ceremony a “special one,” but we’re so jaded at this point that it won’t seem special unless the presenters make multiple La La Land/Moonlight-style gaffes. Maybe just announce the wrong winner for every category, and then figure it out later at the big celebrity parties? Either way, the Oscars will air on ABC on February 24.